well, your skin does. 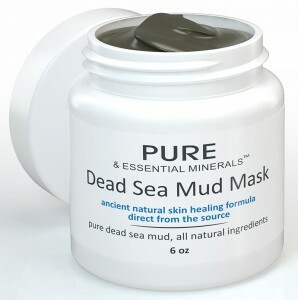 So I recommend Dead Sea Mud Facial Mask by Pure & Essential Minerals. This mask is a game changer. You feel it working the minute you apply it to your skin, and it finishes the job within 10 minutes. It will draw out excess oils, impurities & grime from your skin, while infusing it with ancient Dead Sea minerals and essential oils. This mask leaves your face clean, fresh and blemish free. So wake up and clear up your skin, even if you’re still foggy from the night before…. TAKE IT TO THE FACE…. 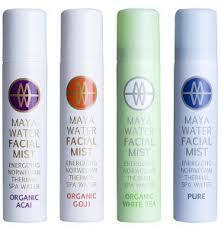 Maya Water Facial Mists. These mists refresh and energize your skin. The water comes directly from the Skogshorn source in the Norwegian mountains, and is extremely rich in minerals. They contain organic antioxidants, and can be sprayed right over your makeup. These sprays come in four varieties; pure, acai, goji and white tea. The more you spray, the more moisture you replenish your skin with,- making wrinkles and fine lines appear reduced. So get with Maya water, and get wet…. 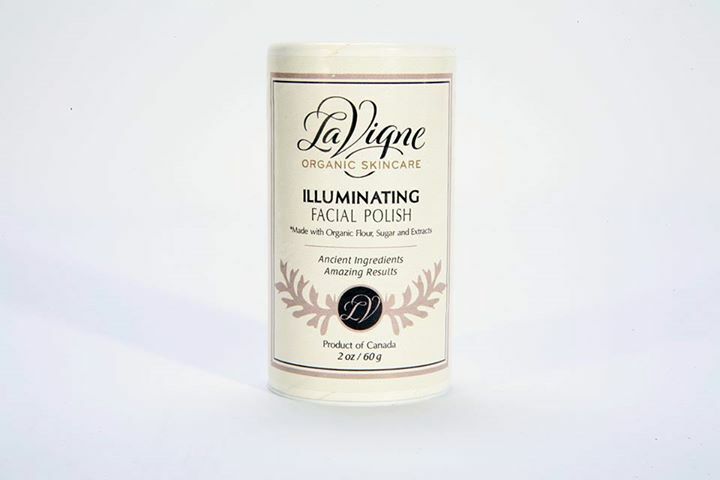 with La Vigne Organic Skincare’s Illuminating Facial Polish. This is a natural, preservative free, organic scrub, that removes dead skin cell, and soothes inflammation. Leaving you with balanced, toned , radiant, smooth, skin. This polish uses rice powder and naturally occurring papain enzymes to get the job done. Exfoliating is a necessary process in your anti aging routine. So get with La Vigne and get polished…. so pack smart. You know you can’t bring liquids on a plane. But what’s a girl to do about toiletries when she’s trying to just rock a carry on? Here’s one suggestion. 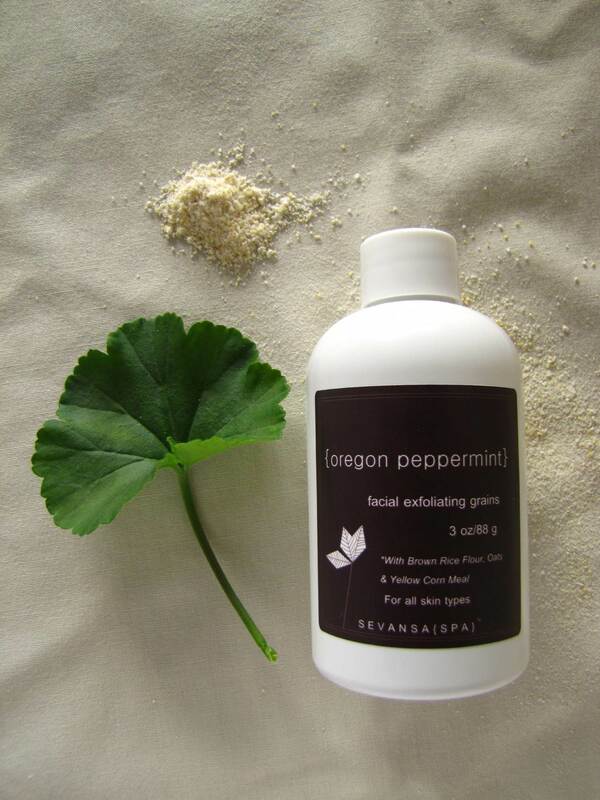 Pack Sevansa Spa Oregon Peppermint facial Exfoliating Grains. It is a powder like substance that is activated when you add water. All Sevansa Spa products are vegan,aromatheraputic, small batch, and all natural. The scrub smells great, and helps wake you up. It rejuvinates and exfoliates with simple ingredients of; White Kaolin Clay, Brown Rice Four, Oat Flour, Corn Meal, Rosemary Powder, 100% Pure Oregon Peppermint Essential Oil. So pack light and party hard….